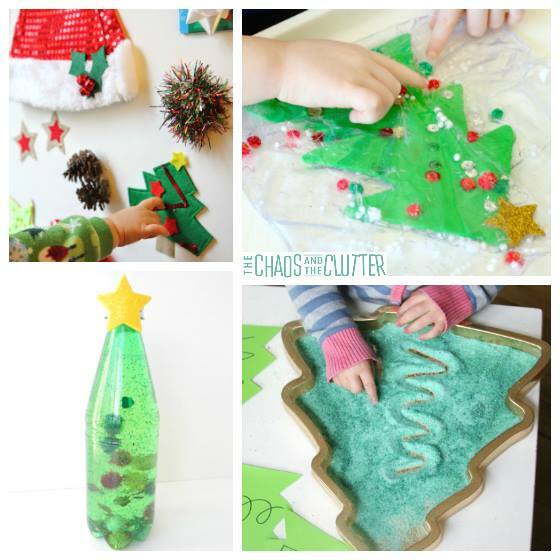 These Christmas sensory bottles are sure to provide hours of discovery for kids. 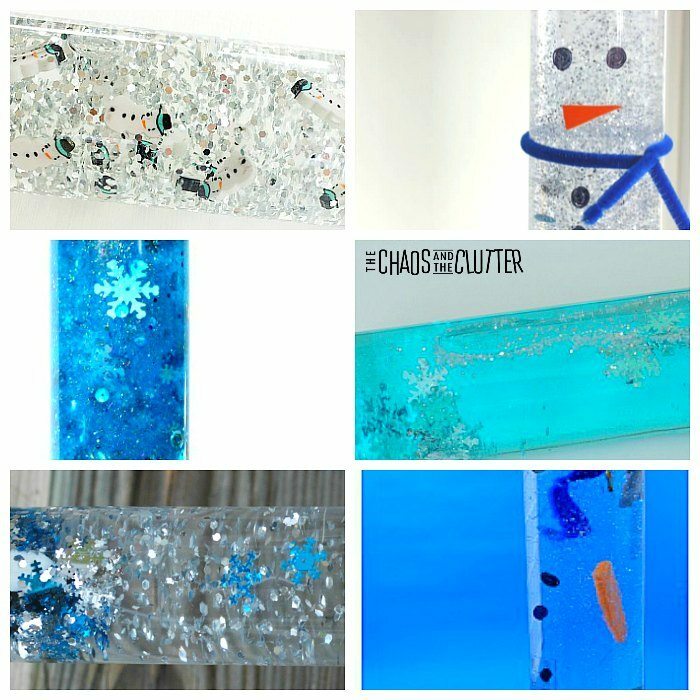 From snow globe sensory bottles to I-spy explorations to combining science and sensory, you will find all kinds of ideas for creating holiday sensory bottles here. 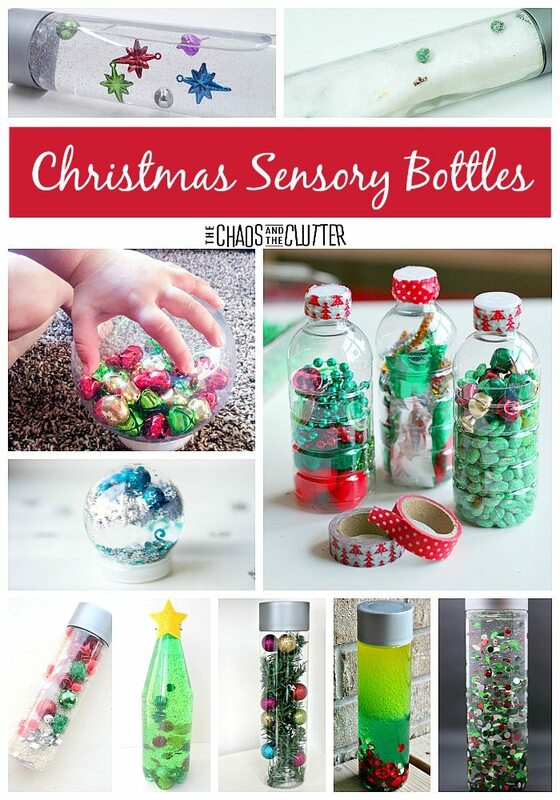 Sensory bottles can also have a calm down effect and with the excitement of Christmas approaching, that can certainly be a very good thing! Try creating one for yourself and you’ll discover what a gem they can be. 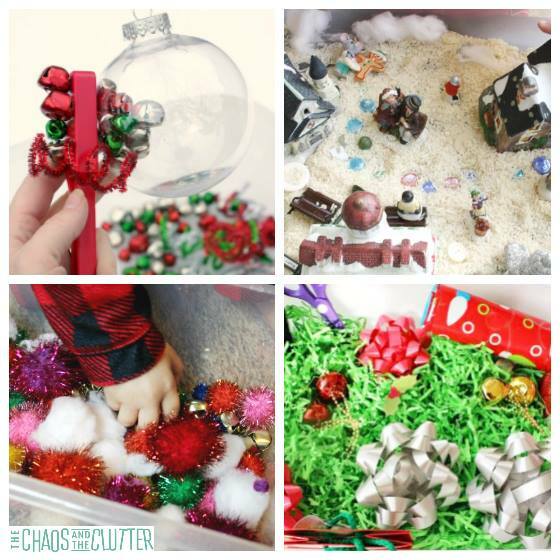 Such an awesome collection of Christmas sensory bottle ideas. Thank you for including our Frozen-Inspired Snowstorm. I can’t wait to try a few of the others!